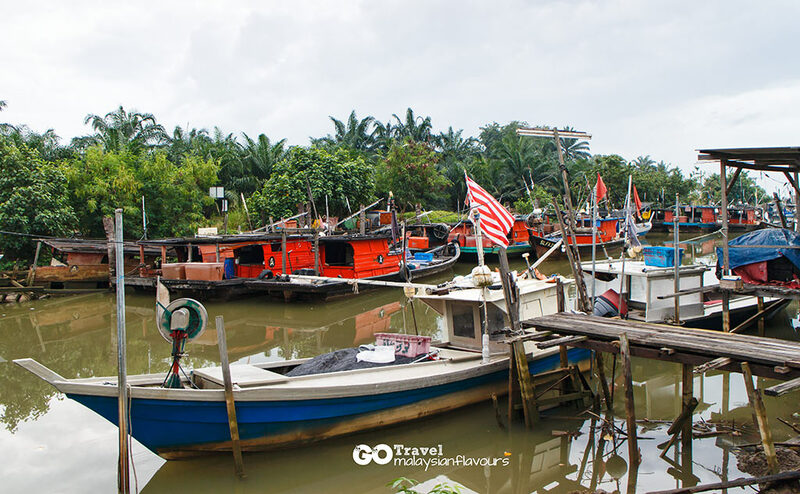 Tanjung Sepat is a small town located in Kuala Langat district of Selangor, about 100KM from Kuala Lumpur City Centre. 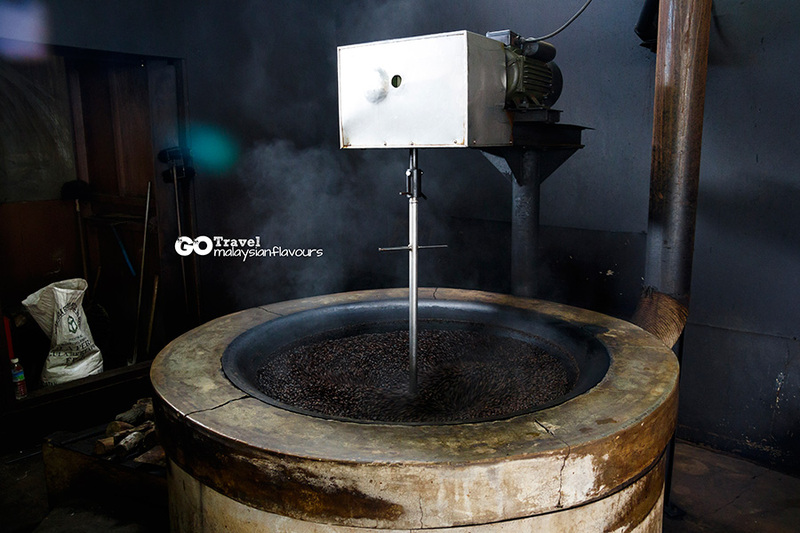 If you happened to be in AVANI Sepang Gold Coast and Gold Coast Morib, the two most famous resorts along Sepang Coastline for short getaway, do take a half day trip to Tanjung Sepat for some nice food, and traditional coffee. Because the town sort of, located in between these two hotels. 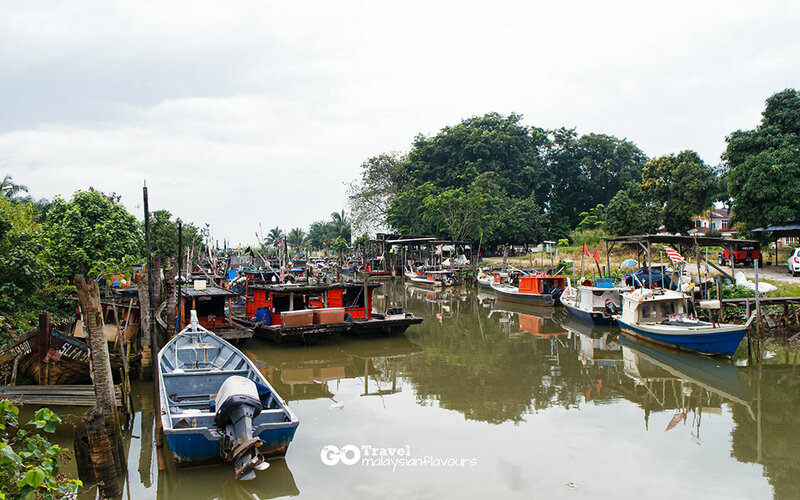 Tanjung Sepat gets its name from the word Tanjung, meaning cape in English, and Sepat, a type of fish. It used to be a fishing village but due to pollution in Straits of Malacca, this activity is becoming less intensive, but still part of the daily scene here. 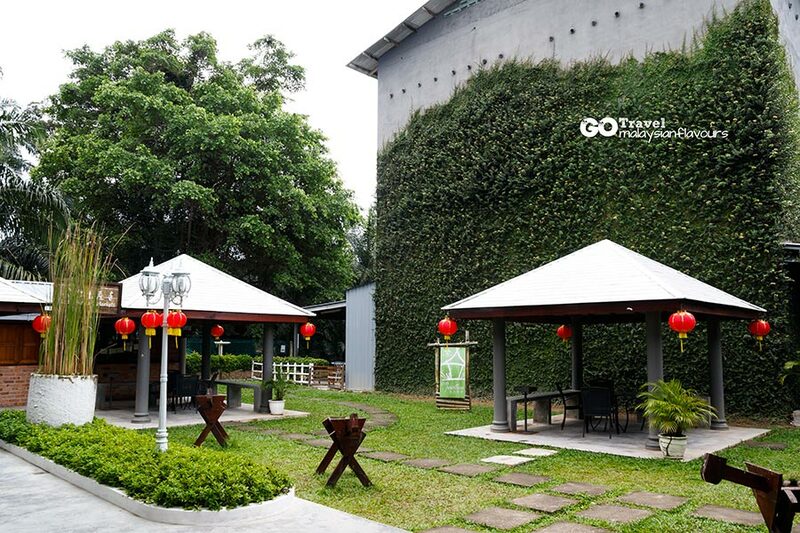 A half day to one day trip here during weekend or long holidays is ideal, as this place allows you to slow down your hectic pace in the city, stroll along the seaside and enjoy the gentle breeze. How far is Tanjung Sepat from KL? 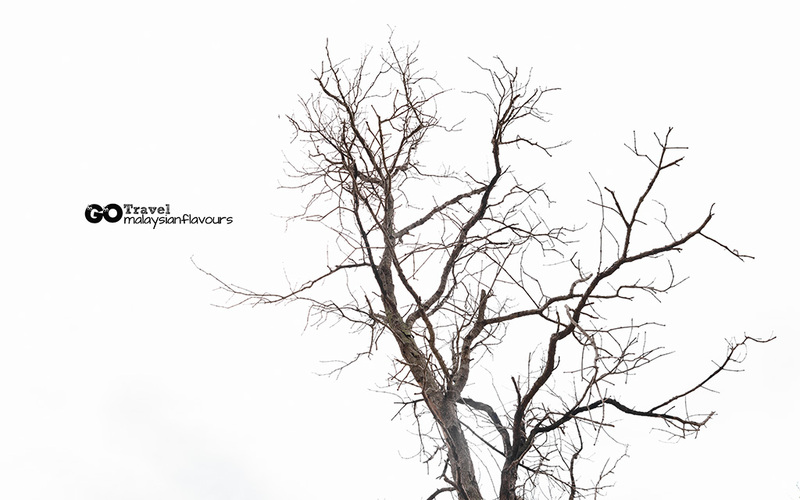 About one and a half hour drive from KL City Centre. It is easy for locals to reach there by driving, but for tourists, suggest to rent a van or cab to go around tourist spots in the area. How’s the weather in Tanjung Sepat? Depends on your luck. Either hot and humid weather with clear blue sky or rainy, gloomy sky which happened to us. 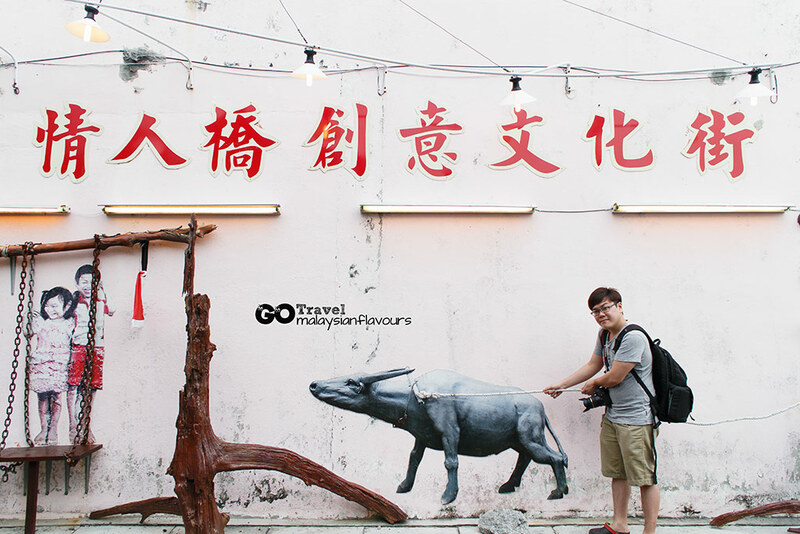 What to eat in Tanjung Sepat? Duck soup seafood noodles (we miss this), Seafood Bak Kut Teh, Minced Meat Pau, Mui Choy Pau, Traditional Kopi, and again, seafood feast in restaurant during lunch or dinner. 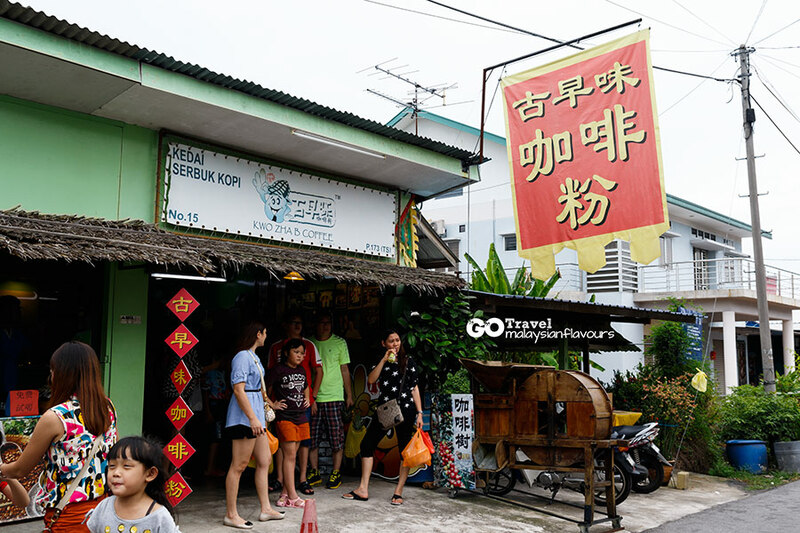 Our journey in Tanjung Sepat began with breakfast in Restoran Ah Hock Bak Kut Teh, a restaurant famous for its seafood bak kut teh. 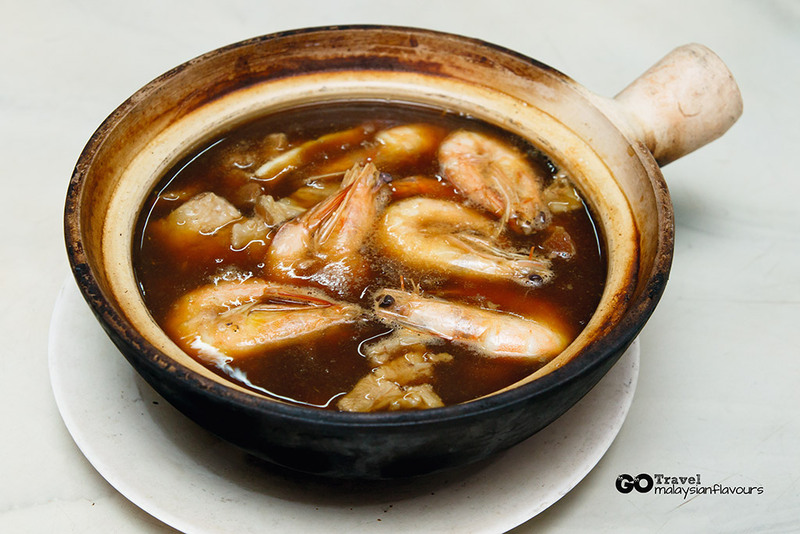 A pot of bak kut teh brimming with fish fillet, prawns, squid, pork belly for 2, priced at RM30. You can also order other items like steamed fish, vegetables, and other “dai chao” dishes. We prefer the classic version of bak kut teh over this. Herbs flavour are mild, taken over by seafood sweetness. Mixed feelings drinking bak kut teh that has complicated flavours in it. Prawns wasn’t fresh, but luckily pork meat was good. After lunch, we drove to Lover ‘s Bridge, which was about 5minutes away from Ah Hock. Sadly, the must-visit Lover ‘s Bridge is torn down. We didn’t even have the chance to capture the “collapsed bridge” version. What welcoming us when we reached was a a lane of sand, mud, rocks and excavator. Not sure if the bridge would be rebuilt, So in case you want to take picture with bridge streches out to the sea, there are two more bridges to the left, and right of Lover’s Bridge. Make a wish, make a wish. 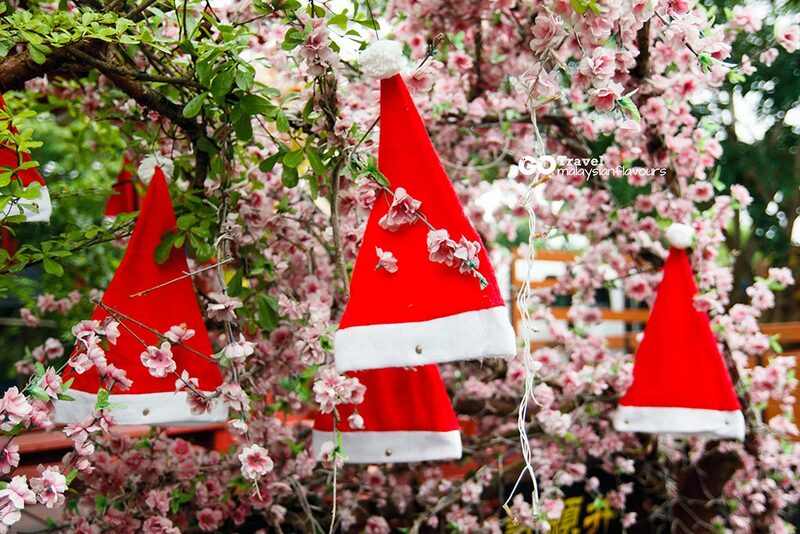 Who said you can’t hang a Christmas hang on a Wishing Tree? Saw this on our way to Lover’s Bridge. So cute. LOL. 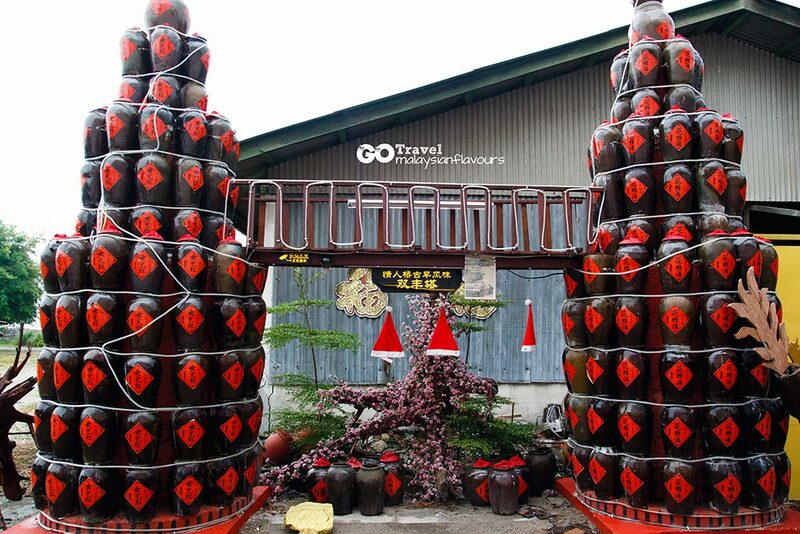 This is innovative by stacking up Nu Er Hong Chinese Wine to resemble Malaysia Petronas Twin Towers. 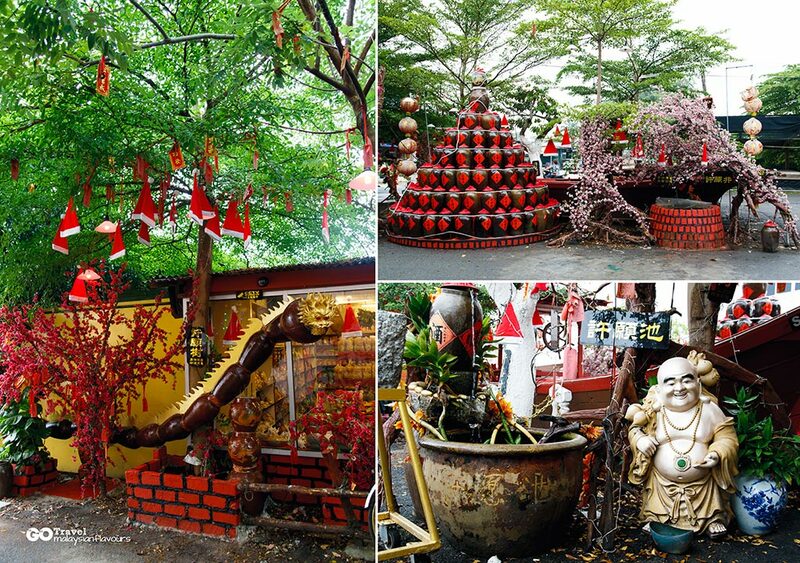 It is located along Qing Ren Qiao Cultural Street, beside Qing Ren Qiao Souvenir Shop. Do check out also some of the “wall art mural” along the place too! Taman Pelangi, 42800 Tanjong Sepat, Selangor. 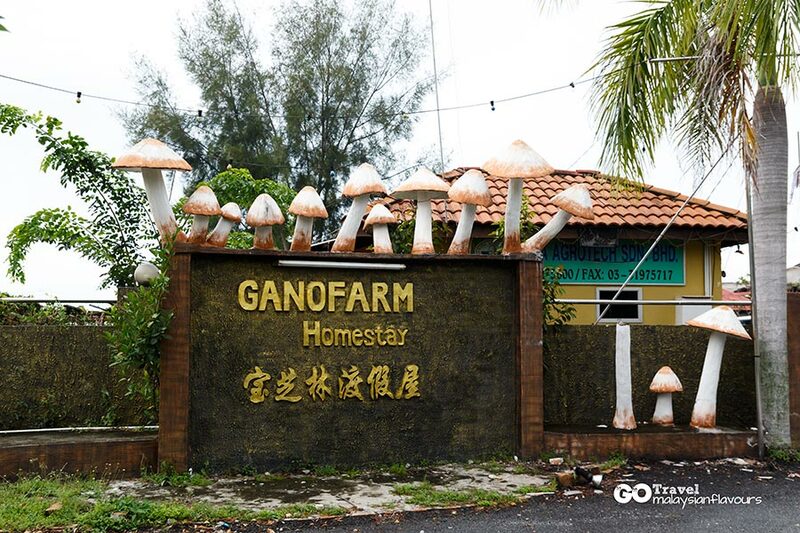 Ganofarm Homestay is not only a homestay, but also an important Malaysian based mushroom research company that cultivates, develops, manufactures, markets fresh mushrooms and mushroom-based products. 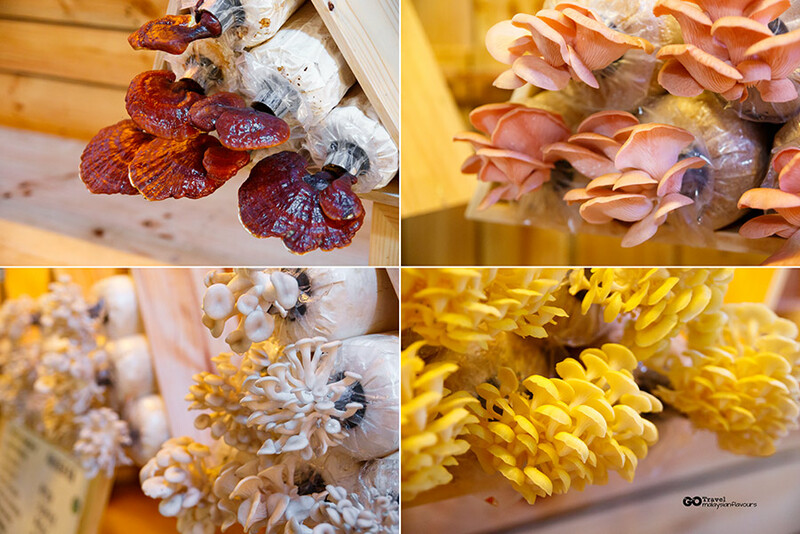 Ling Zhi Mushoom, Abalone Mushroom, Monkey Head Mushroom, Black Jelly Mushroom, you name it, they have it. Bought a bottle of Ling Zhi Mushroom Drink – so BITTER. Walked pass the factory area of Ganofarm, we discovered a bridge behind it. Love this place a lot. 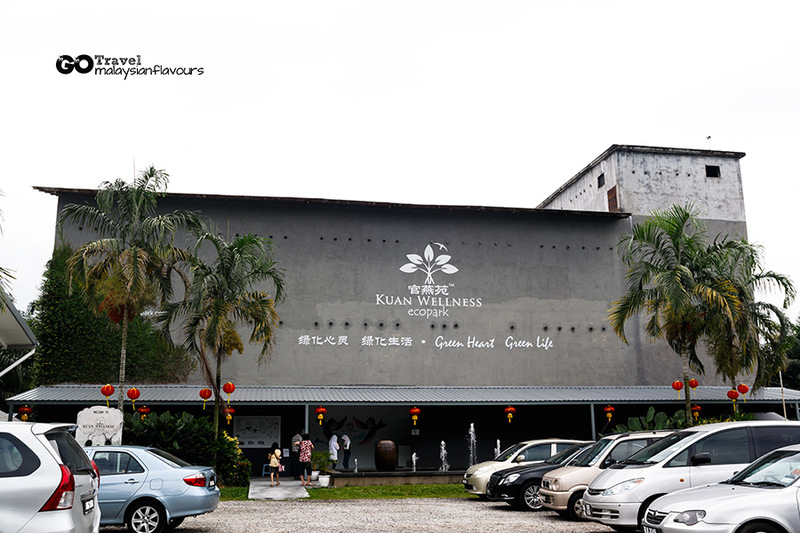 We were quite disappointed with Kuan Wellness Eco Park. 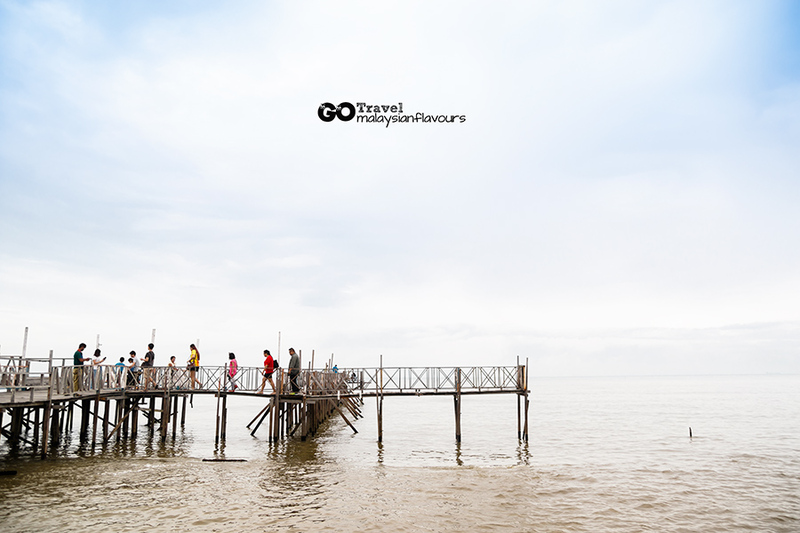 It has the most outstanding theme, outfront and landscape among all other attractions in Tanjung Sepat. They are doing well for birdnest research and production, but sorry to say that, theme park wise, they still have a long way to go. 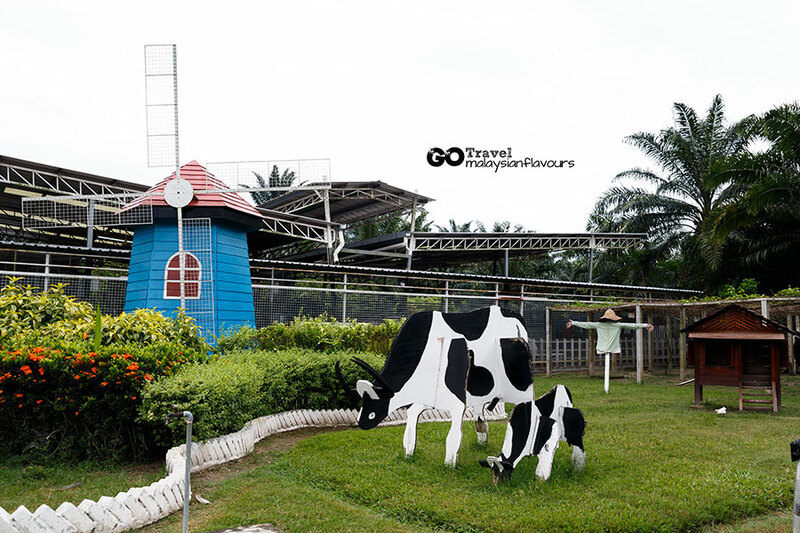 When we first saw the charming windmill in some blog reviews, we thought Kuan Wellness Eco Park will be like a themepark in Hua Hin Swiss Sheep Farm, alongside with birdnest gallery and eco-tourism garden. Upon reaching, there’s only one small area with a windmill landed on meadow, a wooden cow to complete. There’s an EcoFarm next to it, RM5 per person. 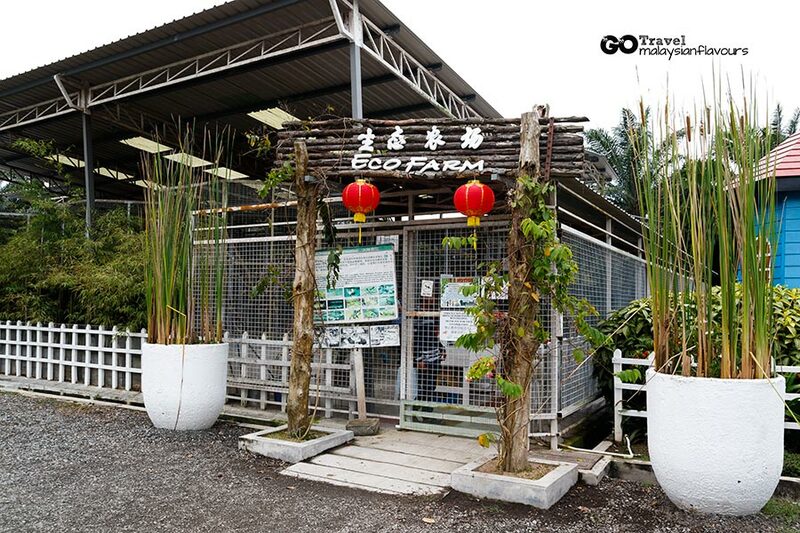 If you wish to visit their birdnest center, RM10 per entry per person. We read from the website saying that they have a Nature Walk beside Kuan Wellness, but we just couldn’t find it. Paid RM20 for a cup of Snow Fungus Bird Nest Drink at their Smoke-Free Eco Cafe, and left after 20 minutes. A trip to Tanjung Sepat is incomplete without sinking your teeth to Tanjung Sepat Pau namedly Hai Yew Heng Meat Pau and Mui Choy Pau. 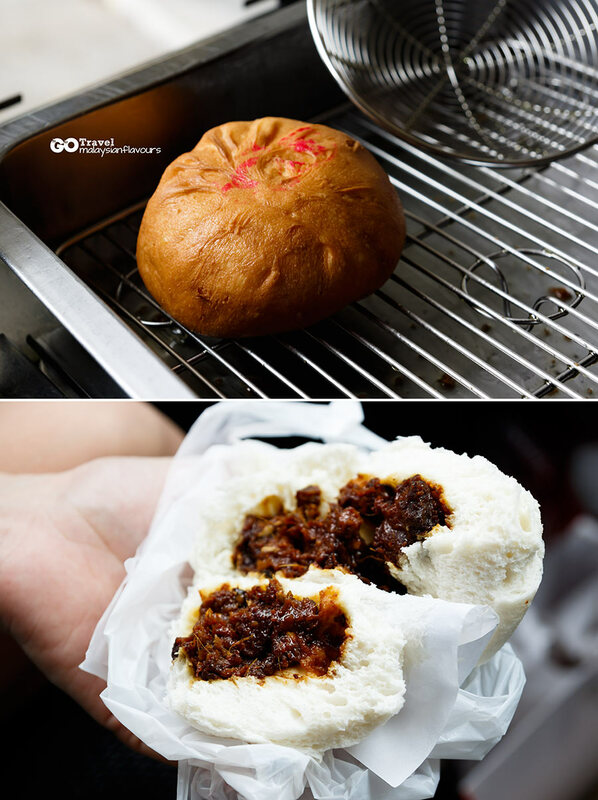 While Summergirl loves their Mui Choy Pau a lot, Summerkid on the other hand, fancy the meat pau filled with big chunks of pork meat, laced in saucy, sweet sauce akin to Char Siew Pau. Pretty different from the Meat Pau we normally have in KL dim sum restaurant. But RM2.80 for a small bun, we don’t think it worth the price. 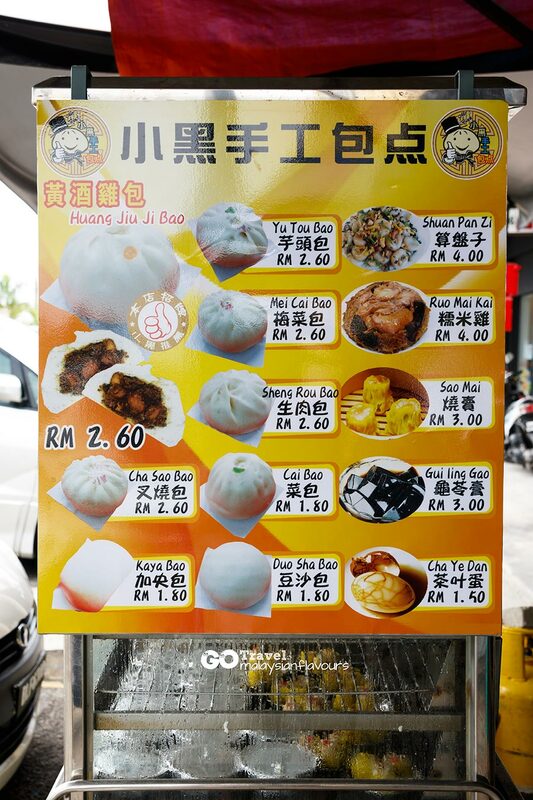 Hai Yew Heng has a new outlet in Johor Bahru Mount Austin too. Get yourself a bottle of sha lei shui, or Ambra Juice from Mei Mei Stall opposite to Pau Hai Yew Heng. 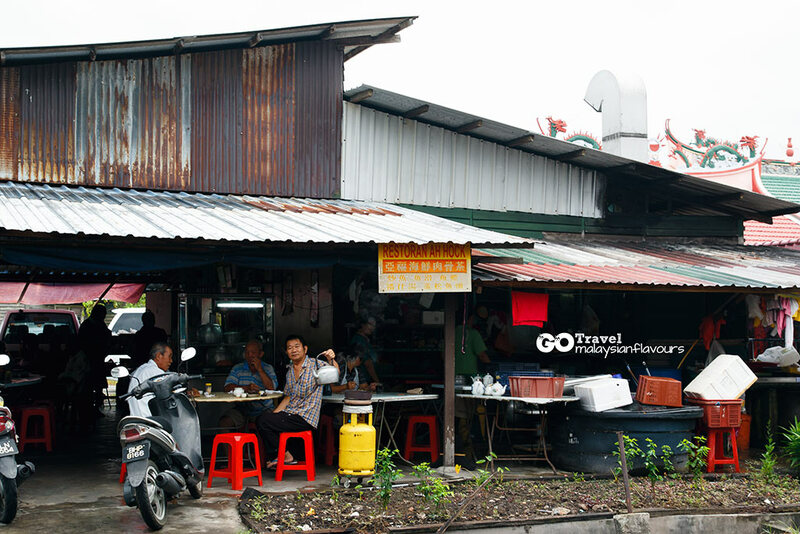 There’s also Ice Creams, Deep Fried Soft Shell Crab, Vietnamiese Prawn Fritters, Pineapple stalls around, flourishes the tourist scene along this narrow lane. 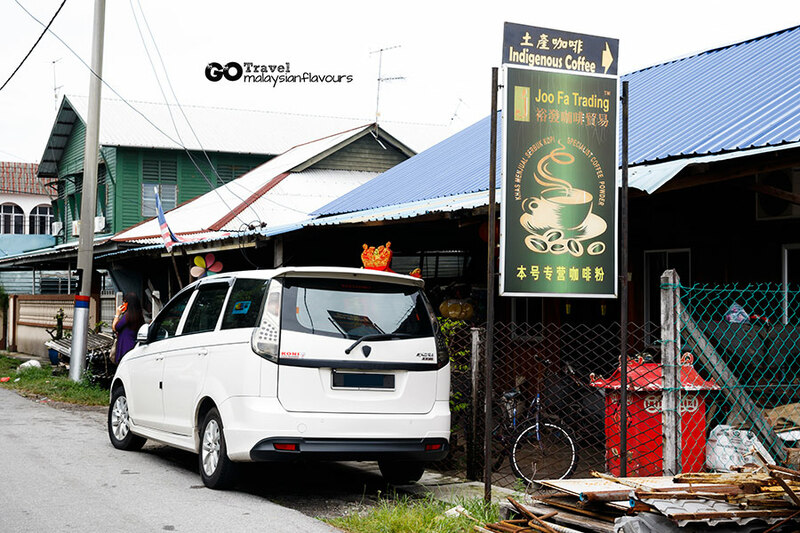 Joo Fa Trading roasts one of the best coffee beans in Tanjung Sepat. 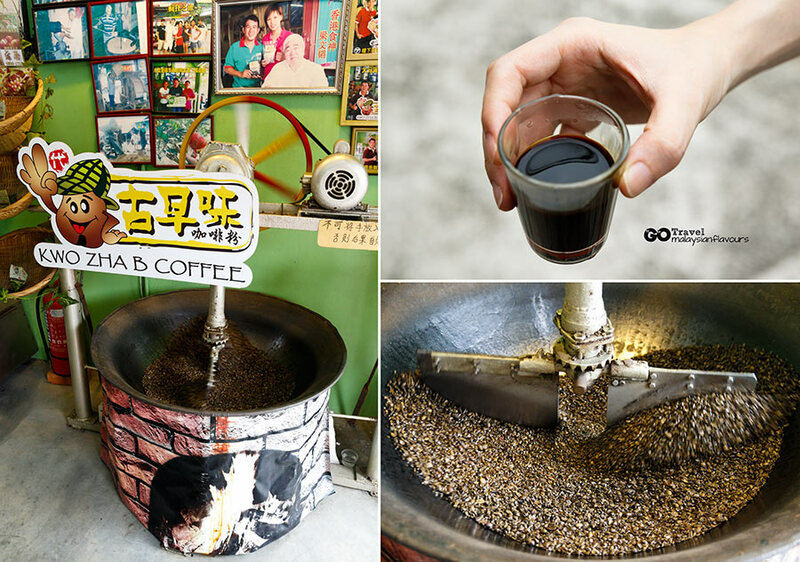 You can purchase coffee powder here. We were told that Joo Fa will be opening coffee cultural exhibition hall with cafe atatched to it, not too far from Joo Fa current location. 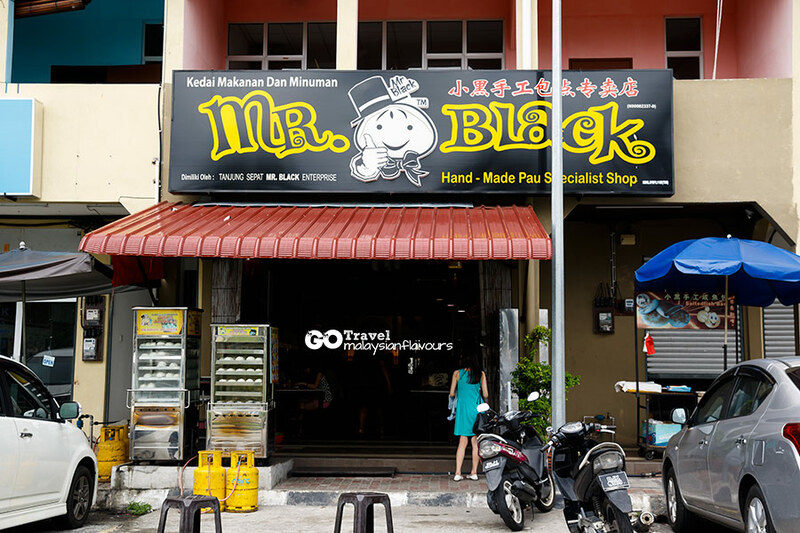 We couldn’t locate Mr Black Home Made Pau shop in Lorong 2, so before heading back to KL, we stopped by at Mr. Black Home Made Pau new shop in Jalan Bawal ( same row with 99 Supermart) and bought some pau back home. 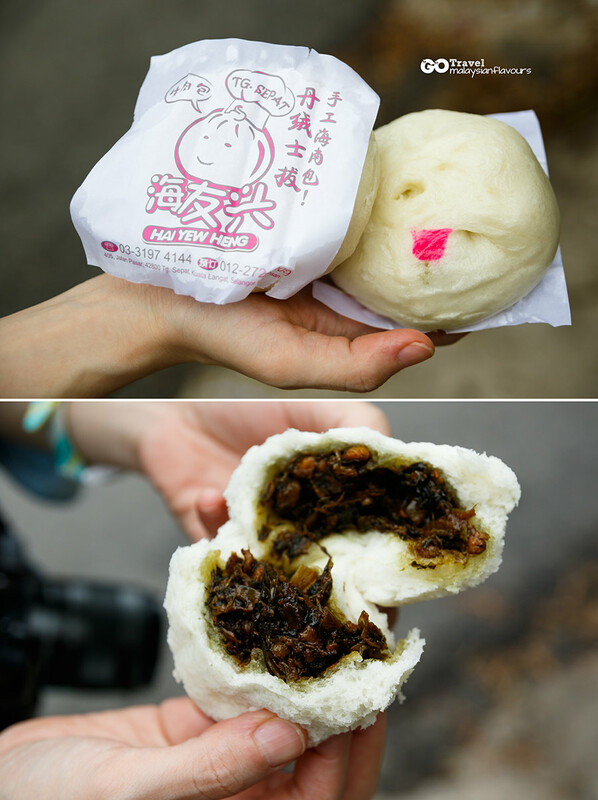 As mentioned above, some say Mr Black produces better pau than Hai Yew Heng but we feel both has their own strength. 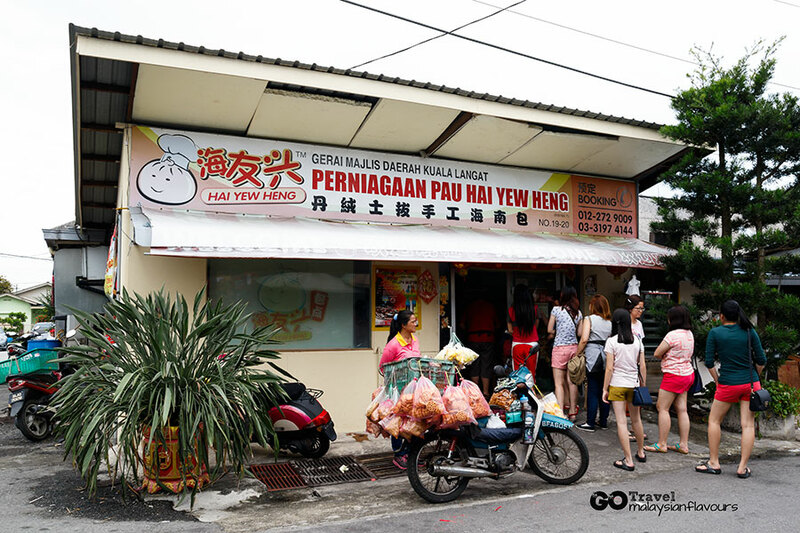 Hai Yew Heng pau size is smaller, thinner bun, more filling, more expensive, less polite service; while Mr Black has thicker bun, denser texture, more flavourful fillings, cheaper and of course, very attentive service. We tried out Chicken Rice Wine Pau 黃酒雞包 and Deep Fried Char Siew Bun 黃金脆皮叉燒包. Chicken Rice Wine Bun sounds interesting, tastes equally unique too, just flavours of ginger was rather overloaded. Deep Fried Golden Char Siew Pau is our favourite. Mr Black Homemade Pau has been popular for their Golden Deep Fried Bun all this while. 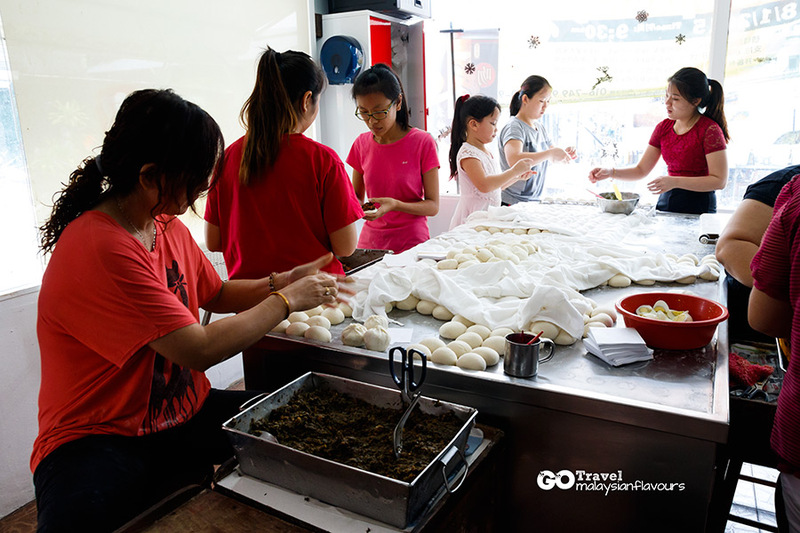 You can choose whatever pau you like, and deep fried them to get a crispy golden outer layer that adds crunchy texture to your pau, making it more “bun-licious”. Keep the best for last! 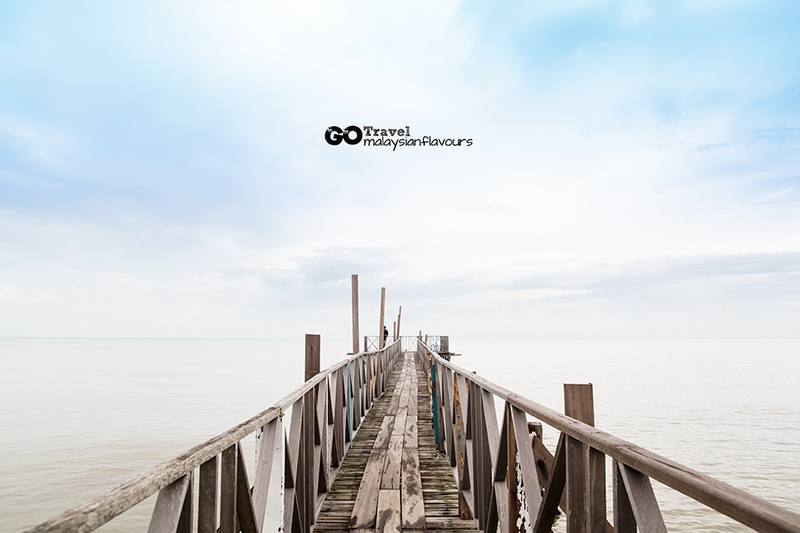 Our top favourite place – Tanjung Sepat beach. 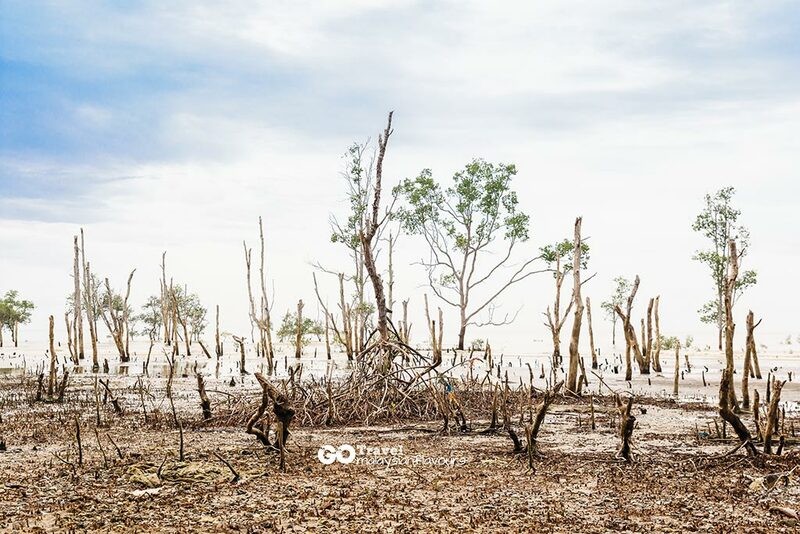 Too bad there’s no blue sky during our visit but the gloomy scene set off by abundance of dead trees and mangrove trees is stunning too! A dragon fruit farm, where you can purchase dragon fruit, quench your thirst with dragon fruit drink, or munch down dragon fruit ice cream. Potato Chips here is good! You can buy freshly made fishballs here. Hi Summergirl & Summerkid, hope next time ur blog have a “copy function” so that easy for us to copy the interested place and travel…. 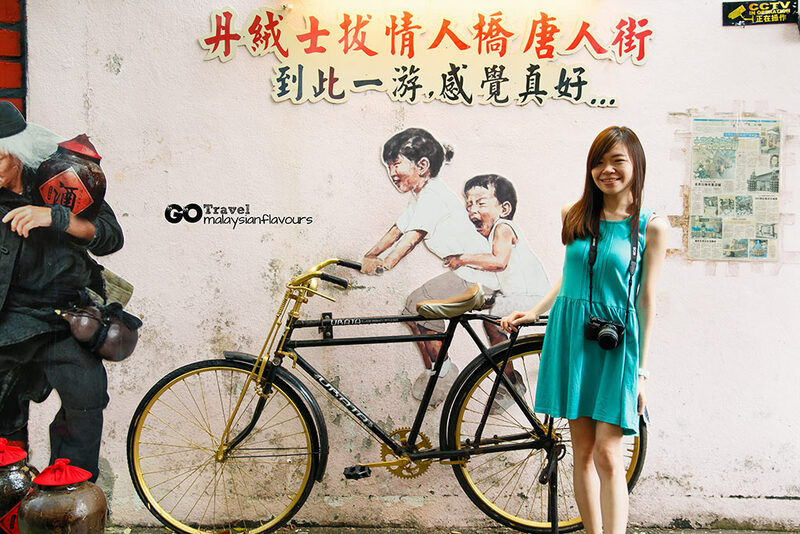 Hi Summergirl & Summerkid, i like yours blog and admire yours can travelling around. If yours interest to stay at iconic sepang resort with the low market price . Can get in touch with me via 019-6675 304. Thank you! Hope you enjoy the trip! Hey! 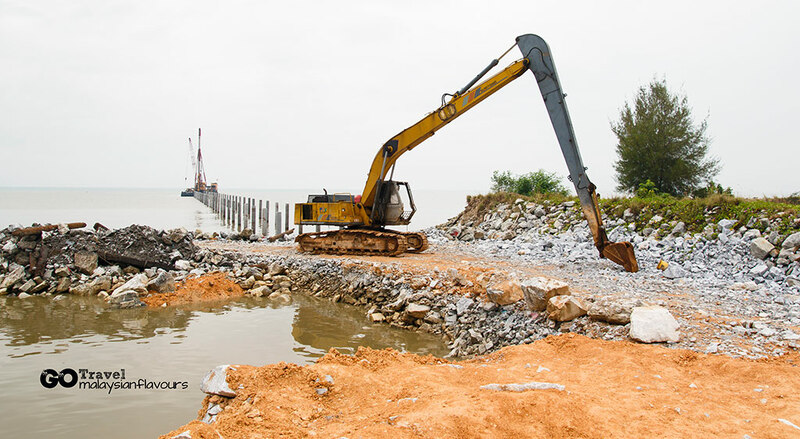 Tanjung Sepat is my hometown and I stumbled across this post by your blog. I think you missed out the better place for the Seafood Bak Kut Teh and Mr.Black IS a better place to go rather than Hai Yew Heng. You should try YiKee instead of Ah Hock. 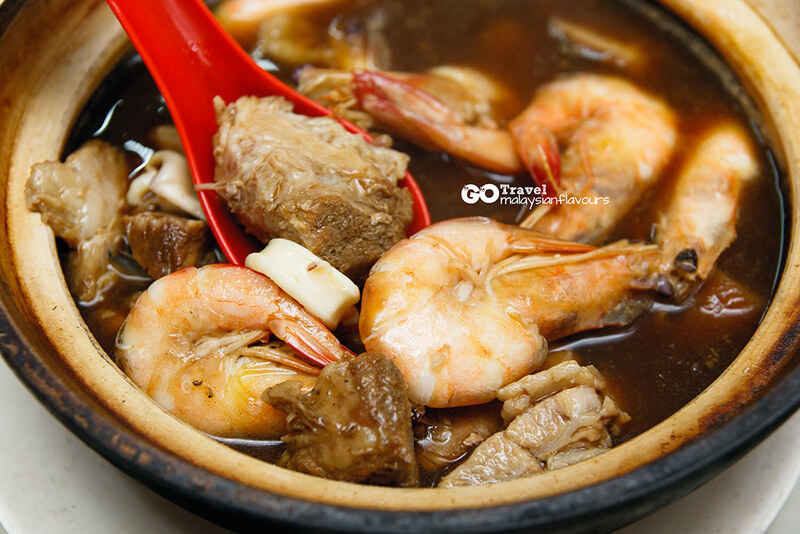 They have better tasting Bak kut teh and the seafood version as well with fresher ingredients. A must try would be the 炒鱼 (chao yu), a dish with a special dark sauce stir fried with fish. Other than that, there are seafood restaurants that you SHOULD be tasting. For example, Restoran Baywatch and Restoran Batu Laut. Kuan’s Wellness Eco-Park isn’t much of a themepark, neither is it somewhere I would go to experience the fullness of Tanjung Sepat. 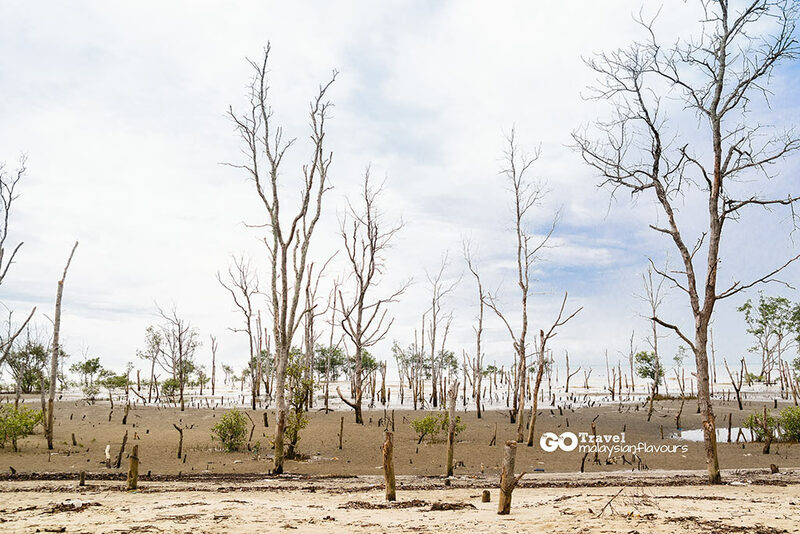 As someone who has experienced a lot in Tanjung Sepat, I would like to conclude my comment with how you didn’t experience the best of Tanjung Sepat and I hope you would visiting again. Hi. Thanks for your suggestion! Will definitely try it out again if we happen to be there next time. Hi, I am thinking of bringing my family and dogs to visit tanjung sepat. Just wondering if you know if the restaurants there normally allow ppl to bring dogs? Thanks! 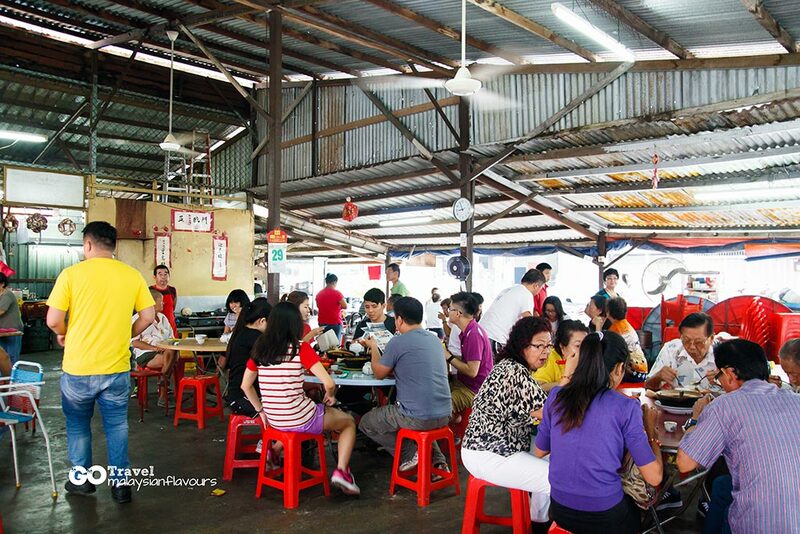 Hi Andrea, i’m planning to visit there this Friday.. may I know the place for the seafood back kut teh & Chao Tu..? Tq. Hi Andrea, I once stumbled into Tanjung Sepat on my way back from Morib. It was a Sunday and there was a lot of tourist along the jalan Pasar road. I bought some nice tasty fish cake and fish balls. A few months later I went there on a week day but found no activity at all. Those popular food stores were closed. May I know if it is only on Sunday that the lively activities in Tanjung Sepat happen ? Thank you. Its one of the most updated and best details and info of tg sepat here online! Hi where can I get the best 猪杂汤 in tanjung sepat ? Any other interesting places to go ? Your blogs really good and very informative, This really helps those who do not have time to do survey, research, itinerary and many mores especially for parents who have kids. Had read your blogs and it helps to provide idea to me where to bring my kids for a daytrip in malaysia. Being parents, quite hectic and worrying to travel too far with young kids esp having a special needs child. Apart of that traffic is another concern too. However, would be much appreciated if you could provide more info on child friendly places such as places to visit and food available. Well done and please continue to post!!! heyy i just read this. now if u come again, u can go to Pantai Cunang. that was beautiful place to go! highly recommended. from there u can see bridge at Gano Farm, yep 5min by car from Gano Farm. Manage by Orang Asli and u can set your program there. 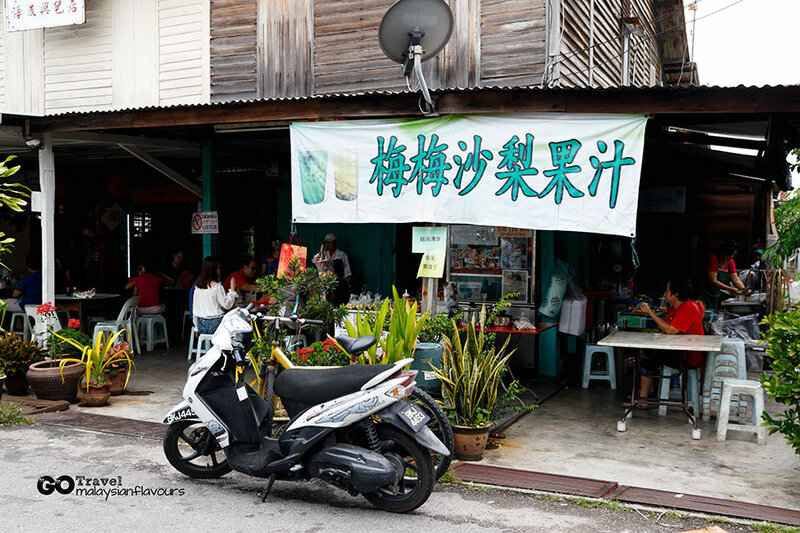 Restaurant Ah Hock Tanjung Sepat Bak Kut Teh is extremely disappointing! We don’t mind the price, but the serving and taste made us really disappointed! We also didn’t make a fuss as this is our first stop and we want to maintain our good mood for the rest of our journey. The seafood Bak Kut Teh served with generous portion of pork, (even though we had ordered less pork), about 10-15 pieces of shrimps. That it! No squid, No fish fillets at all! The soup taste watery and herb flavour was mild. Not as show from the Google search. If they had run out of ingredients should had inform us. We felt cheated. The fried spicy shark meat is way too salty. We not sure it should taste as is. So we just accept how it was served, since the BKT is very tasteless. The only last hope we had was the soya sauce lettuce and also it taste salty. The hot tea was made out of a packet of tea sachet, also it taste very mild. We wanted to go for YiKee which is just along the same street further down, but we were too late. It closed after 11am. Hope to share it here so other can have better options.